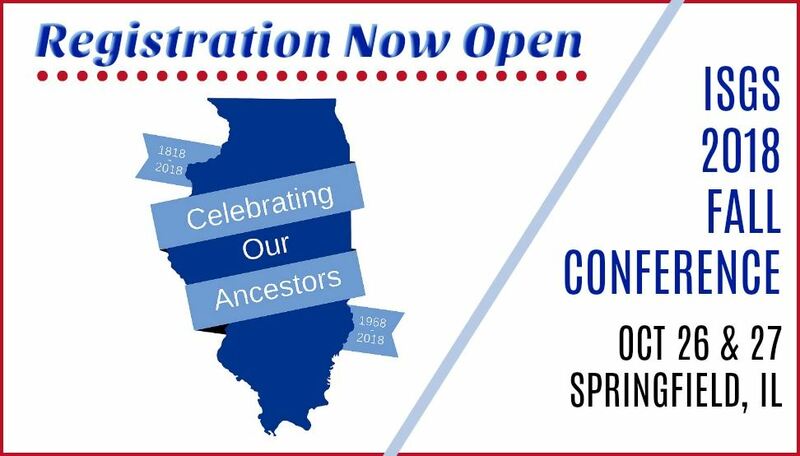 ISGS will be Celebrating Our Ancestors, our 50th Anniversary & the State's Bicentennial during this fabulous event featuring award winning genealogical researcher, writer, editor and educator Thomas W. Jones, PhD, CG®, CGLSM, FASG, FNGS, FUGA. Event registration and hotel reservations will open March 30, 2018. For more details and up to the minute conference information, visit the 2018 Fall Conference page on our website!